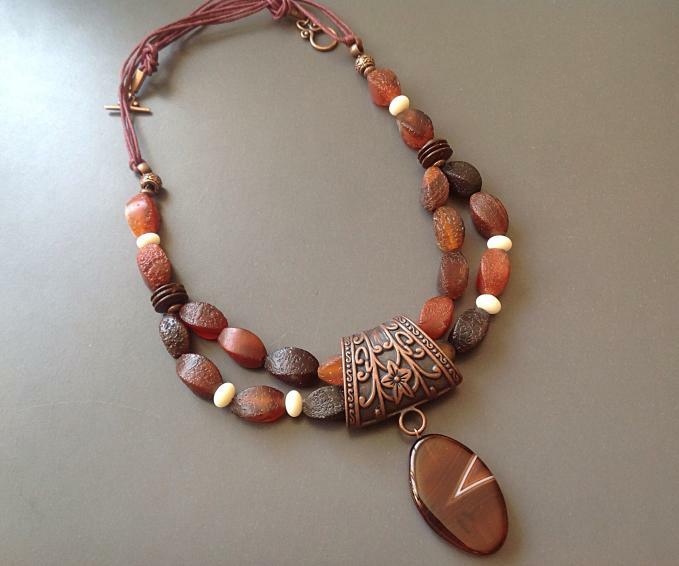 Instant Jewelry & Homemade Paper Beads! 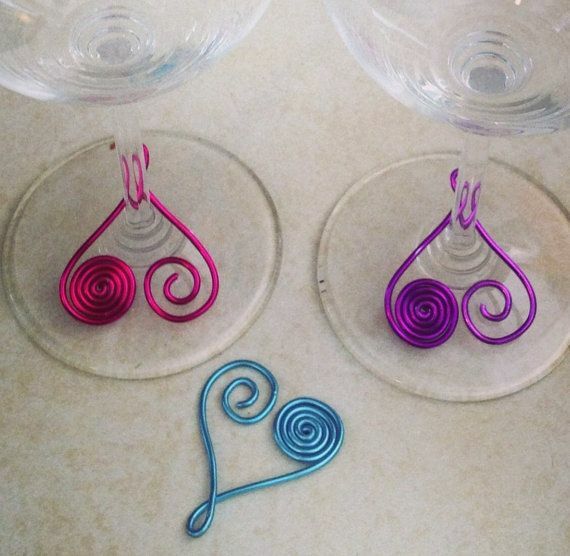 Easy DIY Earrings For V-day! Just can’t believe that it’s nearly the mid-month of February! How time flies! The love holiday is just at hand. 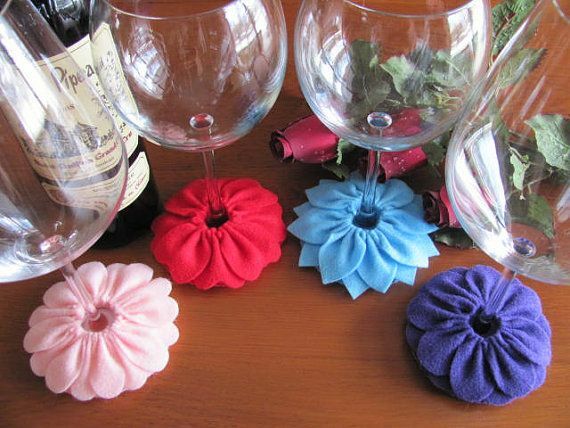 Here’s a 15-minute easy jewel craft for you! Beautiful and simple, definitely worth trying! 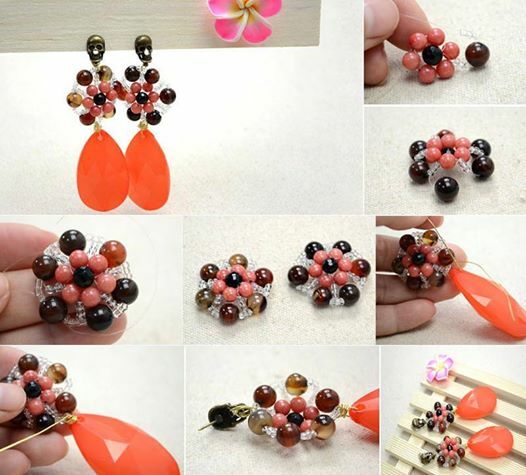 You’ll need read heart beads, clear glass beads, head pins, chain, eye pins, and earrings hooks. Step 4, attach the earrings hooks. 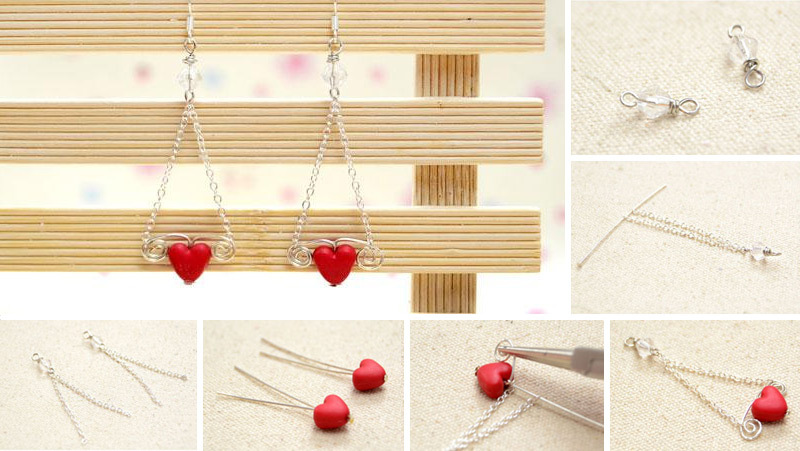 Now, ready to wear this cute elegant heart earrings to show off! Happy V-day! 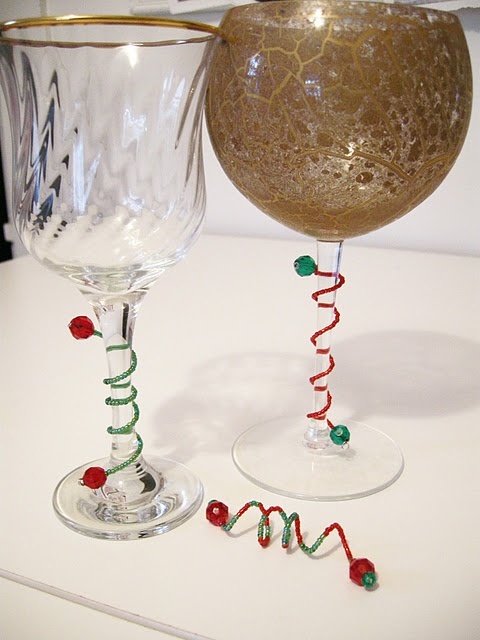 Last Minute Xmas Tree DIY Idea! Christmas countdown! 2 days left! 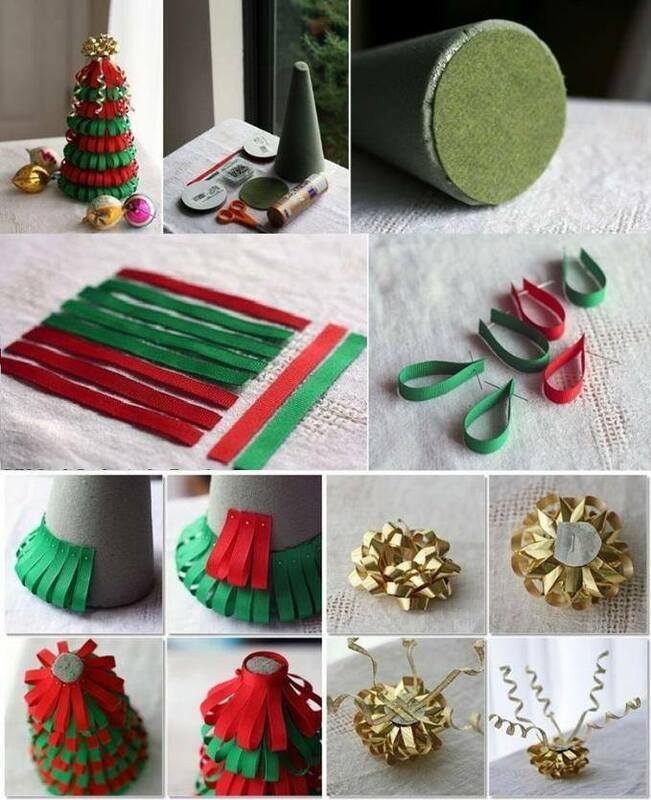 Here’s a little Christmas tree idea for kids to try! 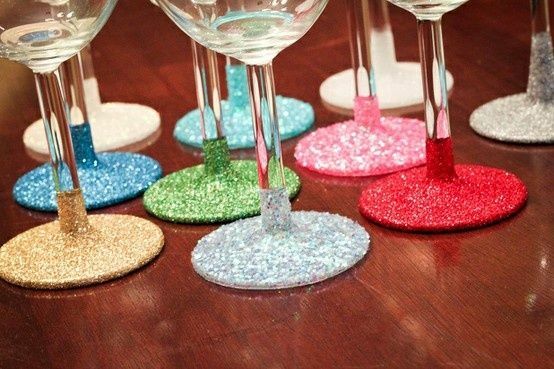 It’s really a last minute Christmas project to try! 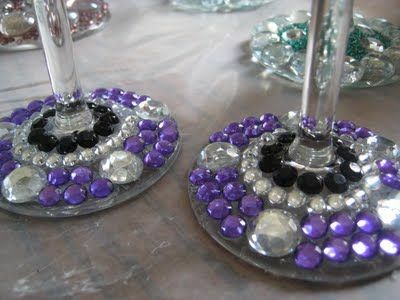 Note: To hide the pins that are visible at the top row, cut a piece of ribbon long enough to fit around the tip of the cone. 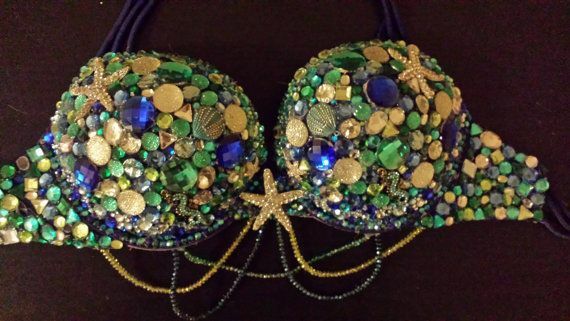 I’m considering put a sparkling beaded bow on the top, using shinning crystal glass beads or rhinestone beads. What do you think of it? Anyway, happy holidays! A pair of gorgeous bead earrings can always add finishing touch to any outfits. 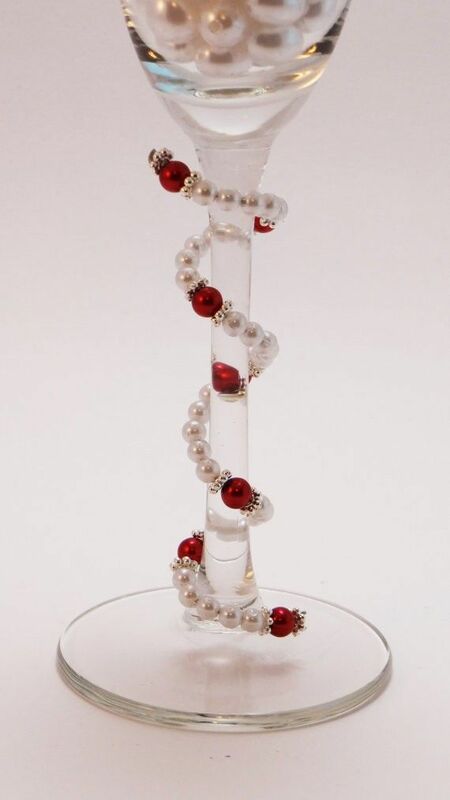 Like this one, the focal design in this earring is the center beaded flower. It’s not hard, but a little challenging. The most eye-catching part is big drop pendant. 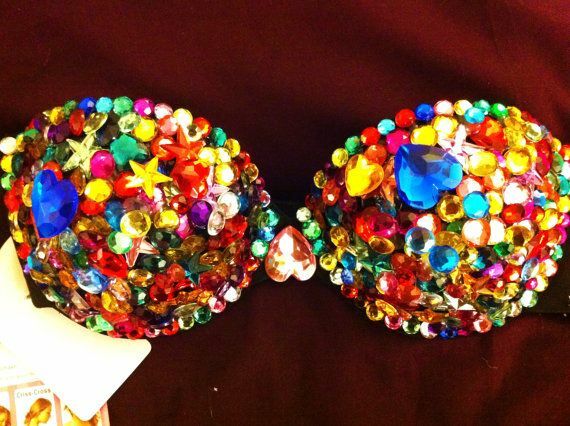 You can use any other colored statement piece. But personally, I love this hot orange, so appealing! 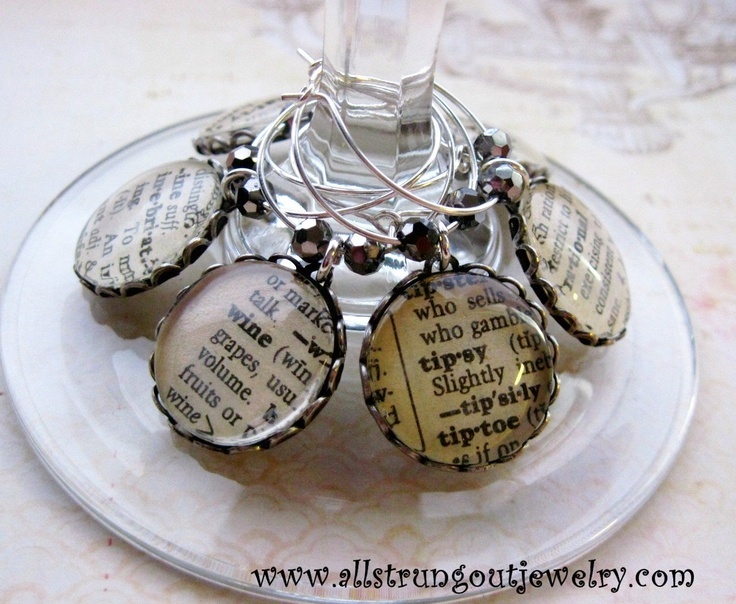 Will you get jewelry making supplies and try this pretty statement earrings? I can’t wait to give is a shot..LOL.. 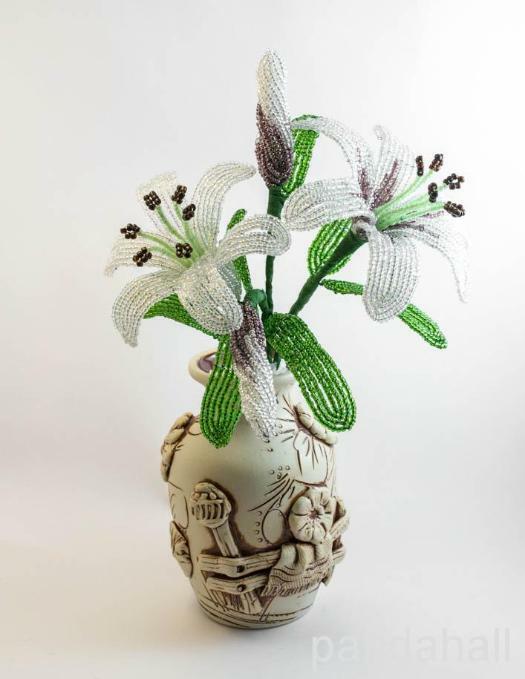 If DIY-ing ordinary beaded jewelry bore you now, here’s something new for you! 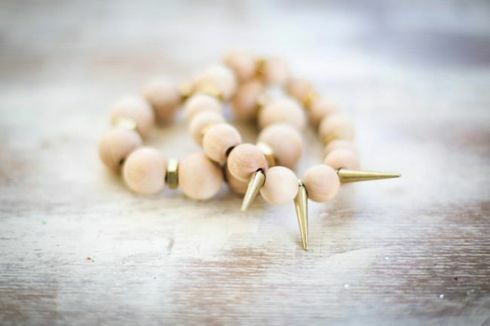 Spike jewelry, subtle yet edgy accessories, which are absolutely necessary for your wardrobe. 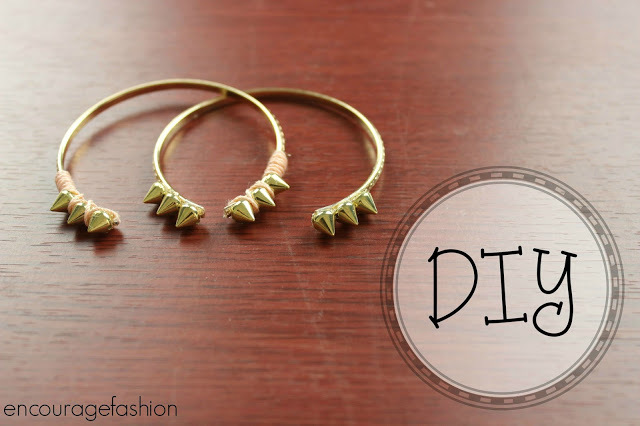 These simple, totally wearable pieces can definitely worth a try. Let’s start with the first one! 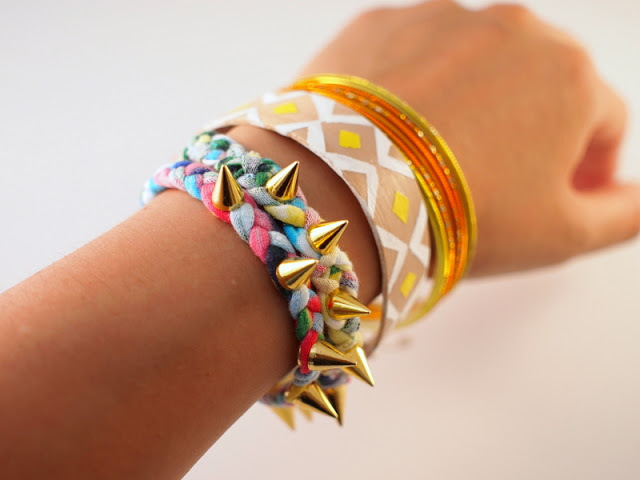 1, Braided spike bracelet out of old t-shirt. Pretty cute, hah? 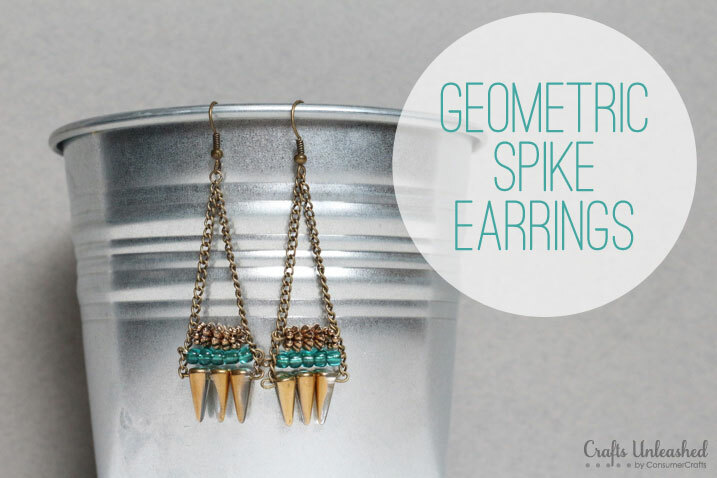 2, Spike earrings: a mix of bohemian, geometric shape, metals with a splash of color, make perfect for many outfits. 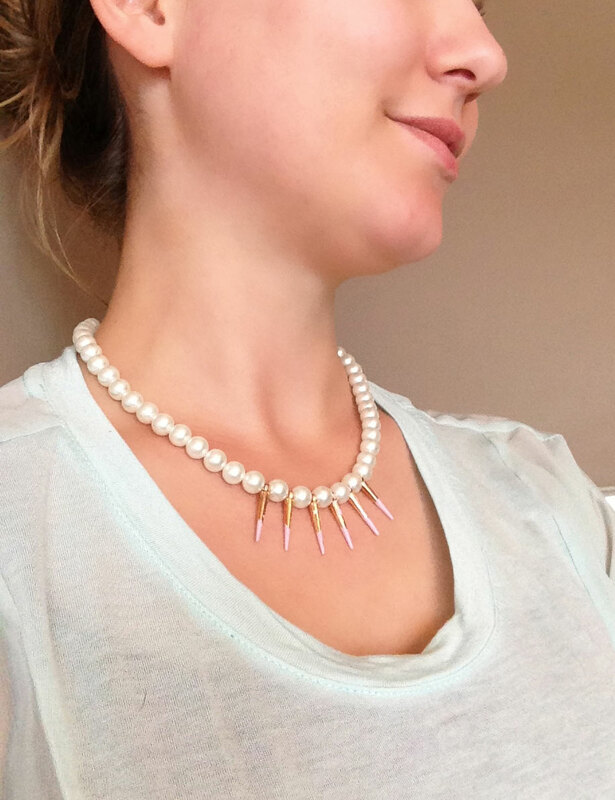 6, Spike necklace with pearls! Definitely love this mix of soft and hard. You? 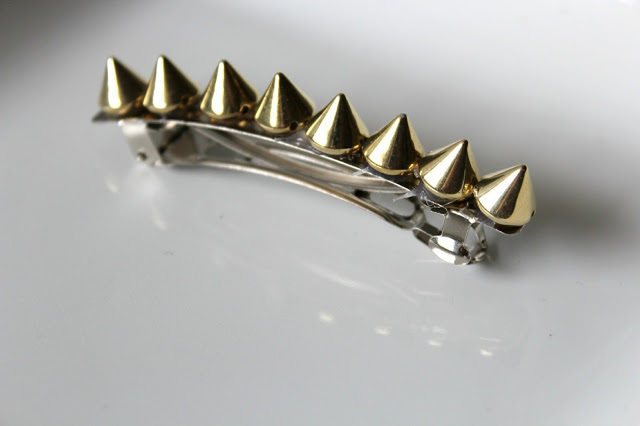 Have you whipped up any rock-roll style jewelry with spikes? Do let us know in the comment below! My Favorite One, vintage Cabochon! 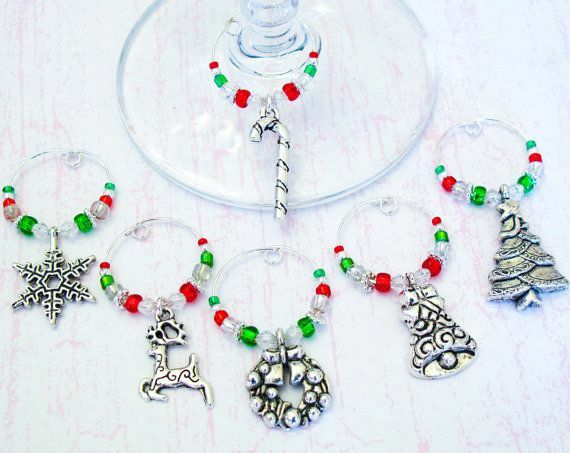 How to make the normal glass wine charms? 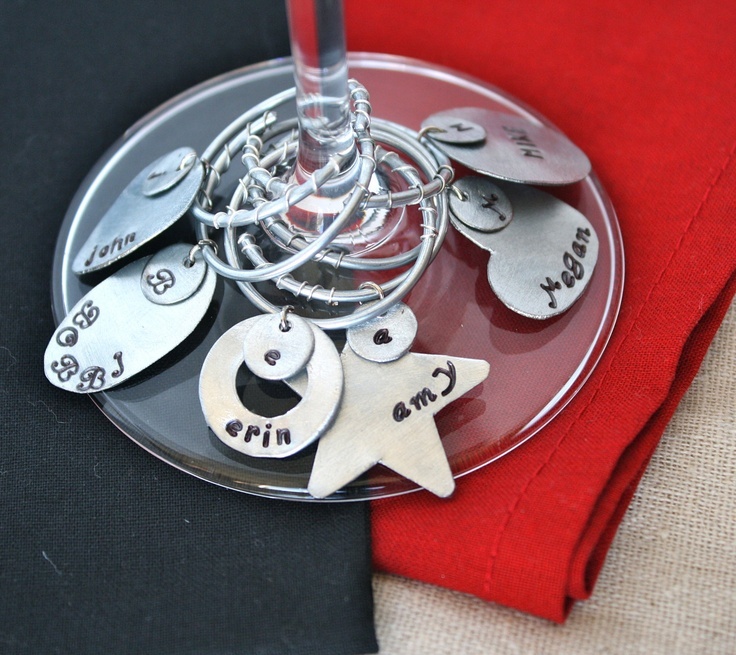 Hi friends, here is a quick and easy tutorial to tech you how to make a chic and customizable key chain. 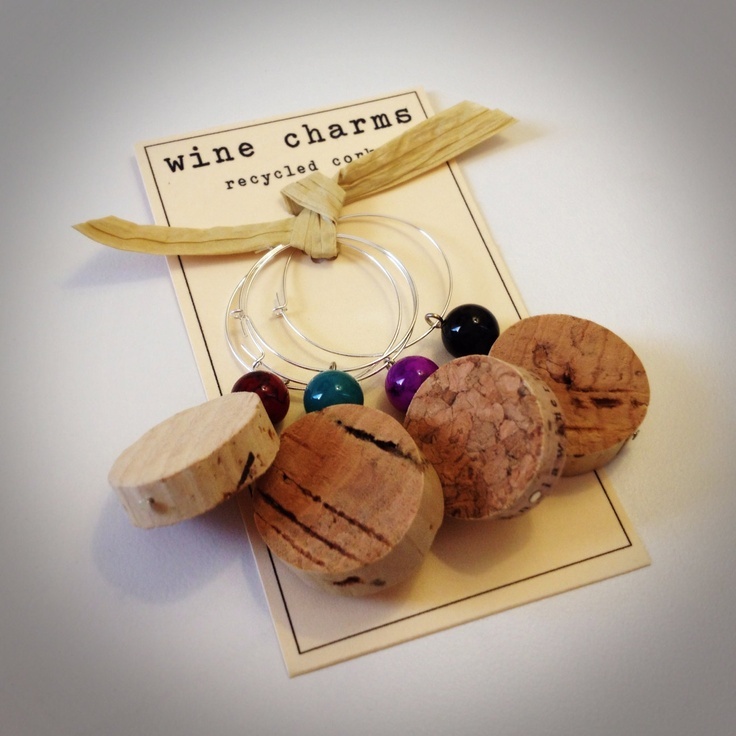 You’ll need the following beads, charms and other finding supplies.